The dates for D23 Expo 2019 were just announced and I’m already preparing! As a D23 Charter Member and someone who has attended all five of the previous Expos, I like to offer my tips as we prepare for the next exciting weekend! D23 Expo 2019 will take place the weekend of August 23-25. 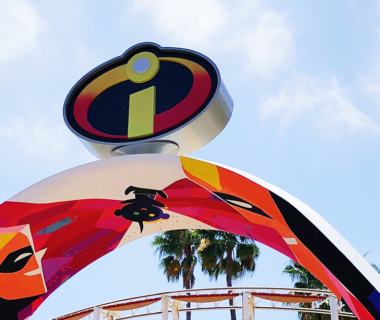 Keep reading for four things you need to know going into D23 Expo 2019. For those of you who aren’t familiar with it, D23 Expo 2019 is an exciting opportunity to learn about the past, present and history of the Walt Disney Company through panels, presentation and show floor booths. 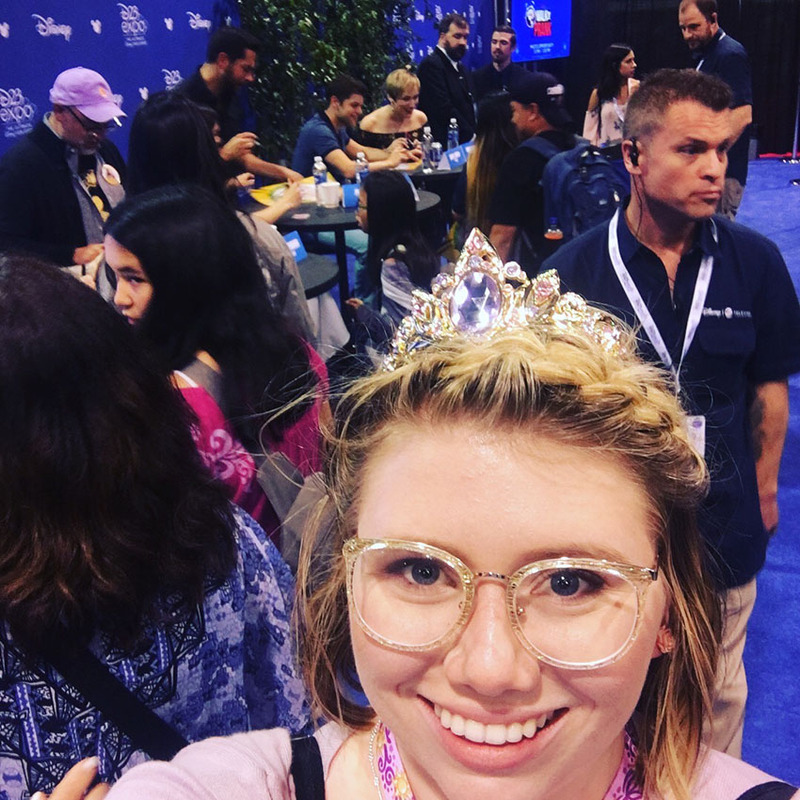 Like I said, I’ve attended every D23 Expo since the beginning, and I have to say that this Expo is an experience like no other! It’s a must for any Disney fan. Having a game plan going into D23 Expo 2019 is one of the best things you can do to prepare. Once the schedule comes out, I like to go through and mark what presentations I’m interested in attending. There are a couple of presentations that I consider flagship presentations, such as the Live Action, Parks and Resorts and Animation presentations. These tend to be in the mornings in the big D23 Arena and tend to be very popular! Get to know the “ShowPass” and “StorePass” systems early on so you’ve got a leg up going into things. If you want to get the most out of your time at D23 Expo 2019, be prepared to get up early. I like to “pre-game” and make sure I get a lot of sleep before heading out to California. Another thing that helps with this is not trying to hit the parks every night after the Expo. It can be tempting, but I’d suggest setting aside an extra couple of days for exploring the Disneyland Resort instead, if you can swing it! Often, we’d leave the hotel by 6 a.m., sometimes earlier, in order to make it to the panels we wanted to get into. Some people wait even longer! If I hadn’t woken up really early, I wouldn’t have had the opportunity to meet the cast of Tangled: The Series! Fueling up refers to your phone and your body! For my devices, I like to make sure I’ve got power cords and a reliable external battery on hand, just to make sure I don’t miss a moment to take photos or an opportunity to meet up with friends. In terms of your body, it’s important to stay fueled up with healthy snacks! Convention food leaves a lot to be desired, so I suggest bringing along some of your favorite protein bars, or even some fruit, so the hangry monster doesn’t come out. Although, they did have Mickey Pretzels at D23 Expo 2017, so they are stepping up their game! 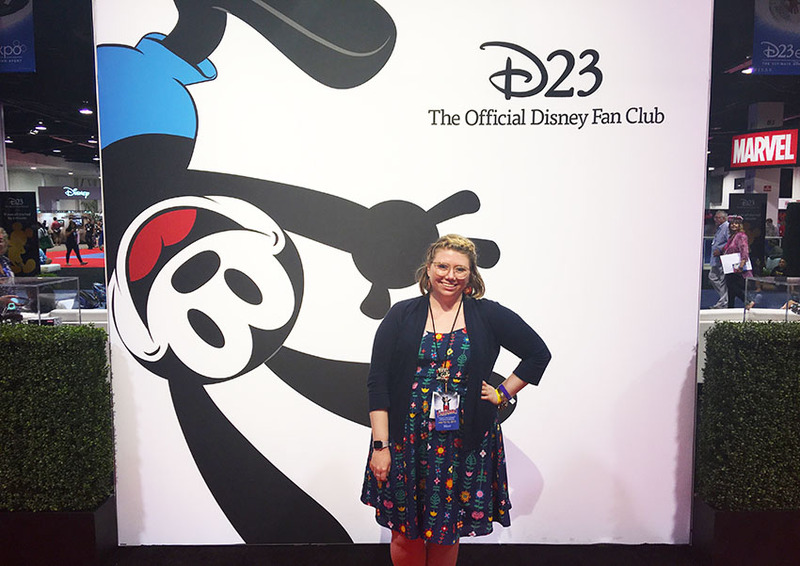 One of my favorite things about D23 Expo is that I get an extra opportunity to Disneybound! I love thinking about what might be featured at the Expo and going from there to develop some creative ideas. In the past, I’ve Disneybounded as Rapunzel, Sleeping Beauty Castle during the 60th Anniversary, It’s a Small World… I like to change it up! For D23 Expo 2019, I’m thinking a Star Wars-inspired look has to make an appearance! I like to start brainstorming these ideas as far in advance as I can so that I’m not scrambling last minute for ideas. I do, however, like to make sure I have an extra couple of “comfy,” but presentable outfits. You never know if a panel is going to catch your eye and encourage you to camp out in the wee hours of the morning, and in those situations, I prefer to have a pair of leggings, rather than a skirt from Pinup Girl Clothing. OH! And, pro tip, I almost forgot! Bring a jacket or something warm to wear while sitting in line! The waiting area for the Expo Area can be especially chilly. Also bring sunscreen for the time you may have to wait outside. According to D23, tickets for D23 Expo 2019 will go on sale at D23expo.com beginning August 23, 2018. Ticket prices will be announced later this summer.